The 58L Totem recycler provides additional recycling options to the already fantastic Totem bin from Joseph Joseph. 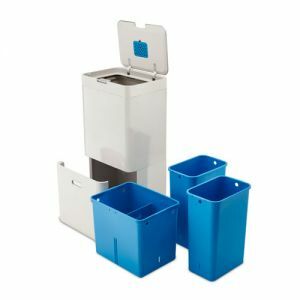 Instead of the 34L general waste section the recycler has 2 x 17L removable internal buckets which are great for segregating recycling streams. 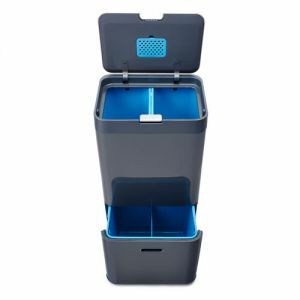 Underneath is a 24L pull out drawer that can also be further divided into two sections if required. 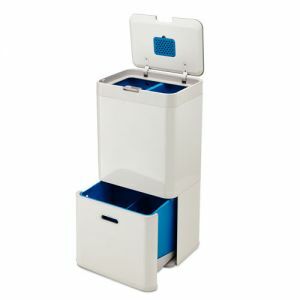 All the style and quality of the original Totem bin but now with added options for recycling, perfect! 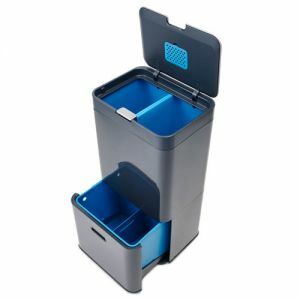 Easy to move for cleaning with wheels on the base and a rear handle.